In this Chandra image, four bright, variable X-ray sources were discovered within 3 light years of Sagittarius A* (Sgr A*). 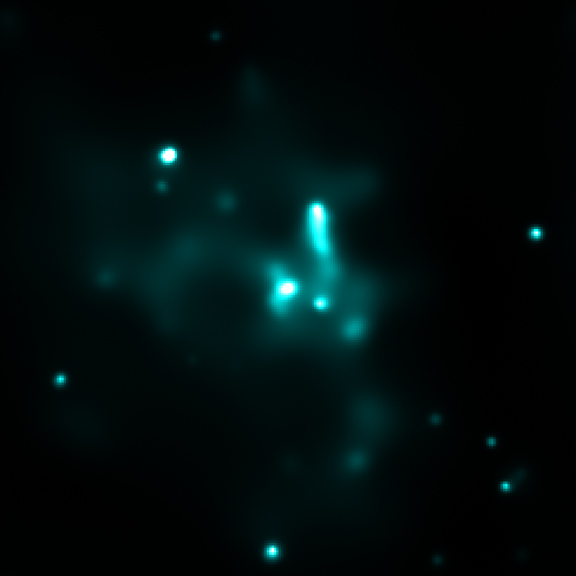 The variability suggests these are X-ray binary systems where a black hole or neutron star is pulling matter from a nearby companion star. Such a high concentration of X-ray binaries in this region is strong circumstantial evidence that a dense swarm of 10,000 or more stellar-mass black holes and neutron stars has formed around Sgr A*. This series of 5 images is part of an ongoing Chandra program that monitors a region around the Milky Way's supermassive black hole, Sgr A*. 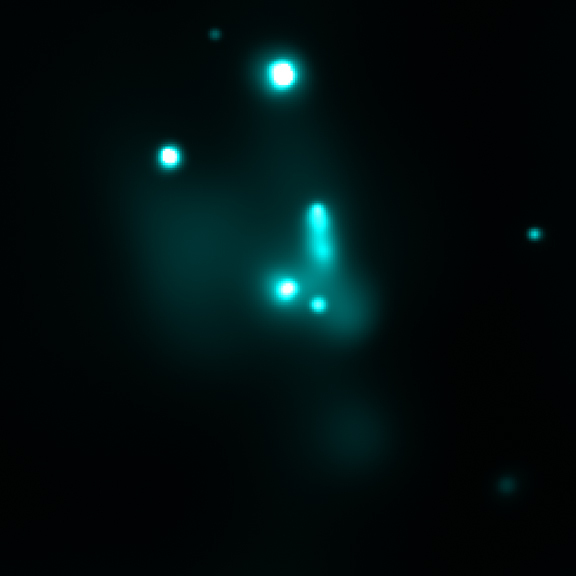 Four bright, variable X-ray sources were discovered within 3 light years of Sgr A*. 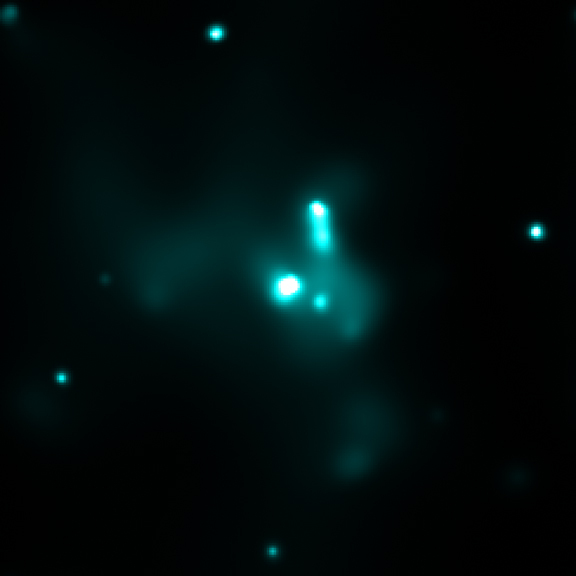 The variability (see time-lapse movie) is indicative of an X-ray binary system where a black hole or neutron star is pulling matter from a nearby companion star. Such a high concentration of X-ray binaries in this region is strong circumstantial evidence that a dense swarm of 10,000 or more stellar-mass black holes and neutron stars has formed around Sgr A*. The swarm likely formed as stellar-mass black holes, and to a lesser extent, neutron stars, gradually sank toward the center of the Galaxy over the course of several billion years. 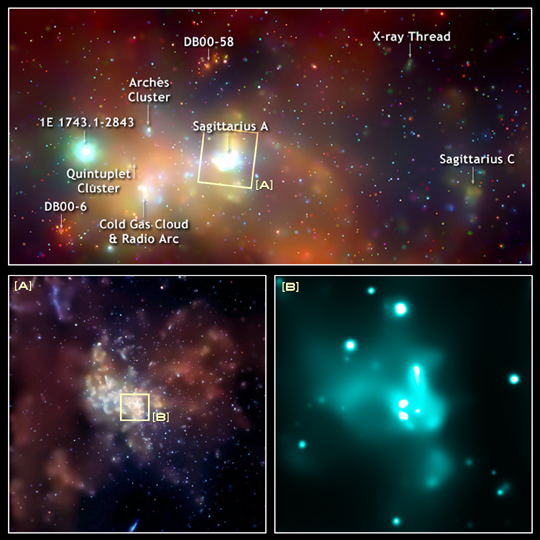 This three-paneled image shows Chandra's latest results from the Galactic Center (bottom right) in context of previously released images. The top panel is a portion of Chandra's 900- by 400-light year mosaic of the Milky Way's center including its supermassive black hole, known as Sgr A*. The box marked "(A)" of the mosaic outlines a smaller region shown in the lower left panel, where about 2,000 individual X-ray sources are detected. 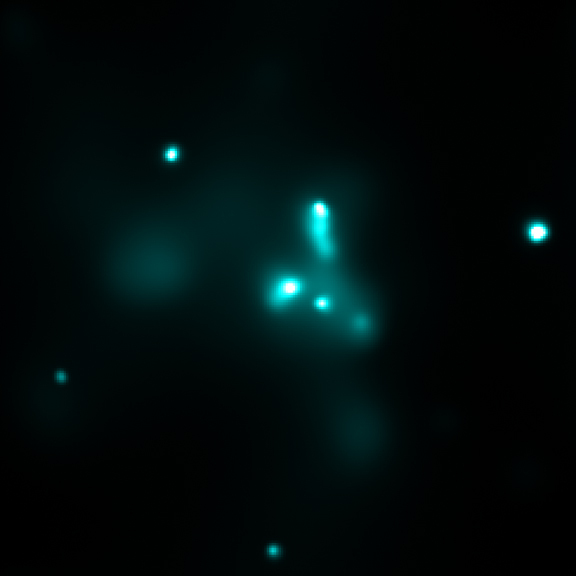 The final panel "(B)" shows four sources within a mere three light years of Sgr * A that Chandra observed to be variable. 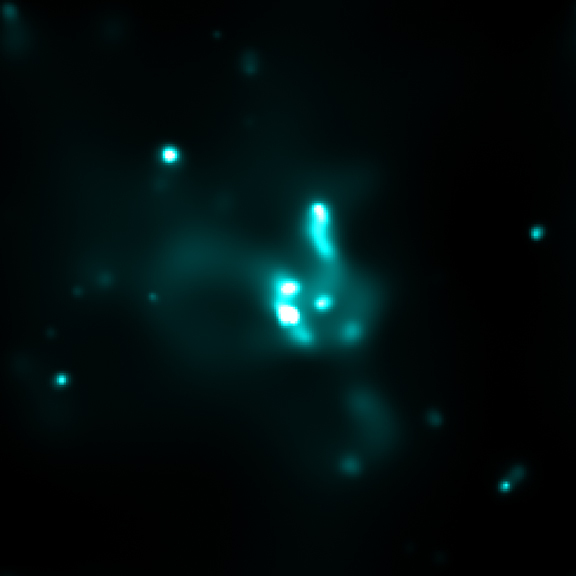 These data suggest that they are binary systems possibly containing their own black holes. Such a high concentration of X-ray binaries in this region is circumstantial evidence that a dense swarm of 10,000 black holes and neutron stars has formed around Sgr A*. 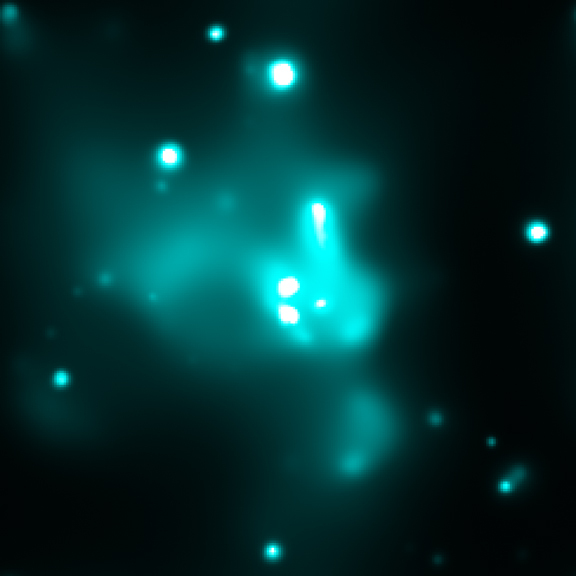 (Credit: Top: NASA/UMass/D.Wang et al. Bottom Left: NASA/CXC/MIT/F.K.Baganoff et al.